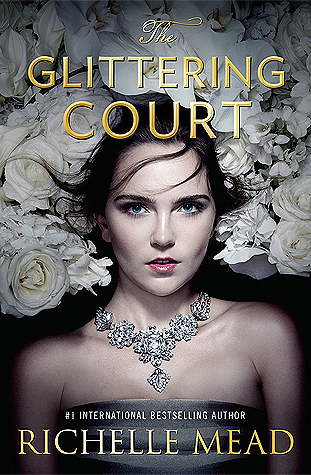 I received a copy of The Glittering Court in a subscription box last year and it took me forever to pick it up. I heard a few negative things about it but I also heard a couple positive things so I didn’t really have any expectations. Interestingly enough, none of the few negative things things I heard could have prepared me for The Glittering Court. I just didn’t like anything about this book. I tried to find something, anything at all, but I didn’t like anything. It lacks any kind of depth or world building that should come with a fantasy novel and the romance is over the top and kind of cringey. To be completely honest, most of the book was cringey. It was like a draft instead of the finished story. The thing I disliked most about The Glittering Court is how the religious persecution is never dealt with. There was some other problematic issues in this book that weren’t dealt with but for me personally, the religious persecution was the last straw and was very personal to me. I didn’t understand the world because it wasn’t built well or explained. There was so many plot holes and nothing made sense. I don’t think the author thought anything through before writing it down. The whole book felt lazy. It felt like there was no thought or effort put into this book. I didn’t like the characters, especially the main character. Adelaide was not only boring beyond belief, she was also extremely stupid and annoying. None of her dialogue sounded natural and half the time I was wondering what the heck she was even saying. And the whole book is sexist so there’s that. It pretty much teaches girls that we’re good for nothing but looking pretty and pleasing a man. And all men are stupid. That was what The Glittering Court teaches young readers. “Women always feel that way,” I said. I’ve seen a few other reviews that contain this quote but it’s one of the worth things in the book so I’d like to include it in my review as well. I wanted to include more quotes to show how sexist and terrible this book is but there’s so many quotes that showcase the sexism that my review would be more quotes than my thoughts. Overall, this book was sexist, cringey, and problematic. I didn’t like it at all and I won’t be reading the sequel. I think there’s hundreds of other YA books out there that will empower readers instead of making young girls feel like they’re only good for pleasing a man and being sold to men like property. I don’t recommend this book at all but if you’ve read The Glittering Court and liked it, that’s totally fine. I’m not here to shame you. You’re free to read and enjoy whatever book you want. 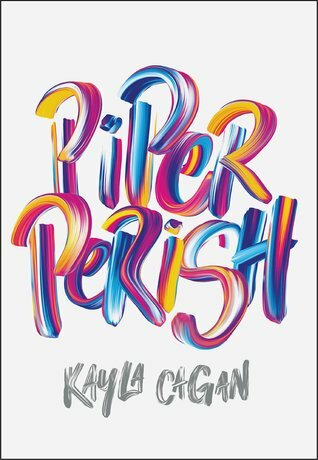 I loved the synopsis for Piper Perish. It sounded really fun and the cover is beautiful so I was pumped. I was super excited. I was ready to read a cute, fun YA contemporary. However, this book was a massive disappointment. First off, I wasn’t super into the writing style. It was written in a diary-like format but it was so over detailed, it would have been better if it was just written normally. Okay. So. I hated the main character. She was very whiny, ungrateful, pretentious, immature, and incredibly over dramatic. She complained so much. I’m not a fan of people who complain a lot, especially when they’re fortunate in many ways. Piper was very fortunate and blessed but she just complained about everything. Her immaturity was sky high. I felt like I was reading the diary of a bratty, privileged eight year old. Piper also had a problematic and immature view on her (ex)boyfriend. Within the first few pages we find out that her (ex)boyfriend has an interest in boys. Piper goes on a weird rant about how she might have turned him gay because she has short hair. It was odd and surprising to find something like that in a YA book written within the last few years. Piper is an awful example for young readers. She single handedly ruined this book in the first 15 pages. I didn’t like any of the other characters either so this book was pretty much hopeless for me. I also wasn’t a fan of the relationship between Piper and her sister, Marli. They hated each other for no reason and it was such a poorly written example of a relationship between sisters. I’m so sick of sibling relationships being so poorly written. I’m tired of girls being pitted against each other. Piper and Marli didn’t have to be besties but there is no excuse for such a terrible representation of sisters. Honestly, all the female characters in this book are poorly written. This isn’t a book I want young girls reading. There are so many more YA books out there that young girls can read that will empower them. Piper Perish just promotes the image that teenage girls are nasty and that it’s okay to consistently compete with each other. Overall, I didn’t like this book at all. I found it to be very problematic and had a terrible representation of girls. This book was almost sexist against women. I don’t think the author intended that at all but it’s very unfortunate that this book has such a terrible cast of characters, especially the female characters. Maybe if you’re not a critical reader, you’ll enjoy this book but I definitely don’t recommend it. There are many more YA contemporaries out there that aren’t problematic and will empower the reader. My biggest problem with this book is the main character. She’s in high school but she acts like she’s seven years old. Everything from the way she talks to how she handles situations is shockingly immature. Not to mention how her name is Sophia but her friends call her Sofa. I found that incredibly annoying and just weird. Her relationship with her best friend was messed up and very shallow. The guys in this book are all awful and I couldn’t stand them. To be honest, I couldn’t stand any of the characters. I wish I had loved this book, I really do, but I didn’t like it at all. It was poorly written with awful characters and a disappointing setting. 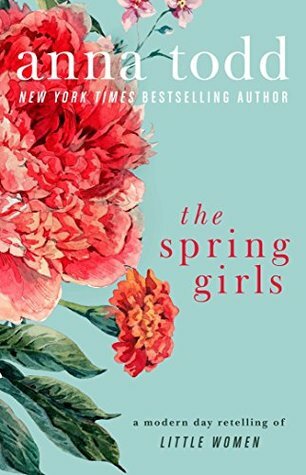 I didn’t have high expectations for this book when I started it, I just felt like reading a fluffy romance, but the first 10% or so of this book was amazing. I loved it so much. I was laughing and giggling and having a grand time. But out of nowhere, this book took a massive turn for the worse. I really liked Emily at first but she made terrible decisions. Some of the things she did made no sense. The fact that she didn’t even care that much about the fall out with a man that she was totally ready to marry was mind blowing. She barely even cared. Within 24 hours she went from being 100% ready to marry a man to sleeping with a guy she barely knew. What the heck was she thinking? I loved Ethan at first but his insane insta-love was so disturbing. I get that he’s an all in or all out kind of person (I am too) but after one night, he was so insanely attached to Emily in such an unhealthy manner. I’m a huge fan of sports so the outrageous mistakes regarding football wanted me to pull my hair out. The author should have done her research before writing about a sport. There’s no way an athlete can just walk out mid-season on a team, he’s signed a contract. There was a whole slew of mistakes like that and it drove me insane. Overall, I was not a fan of this book. 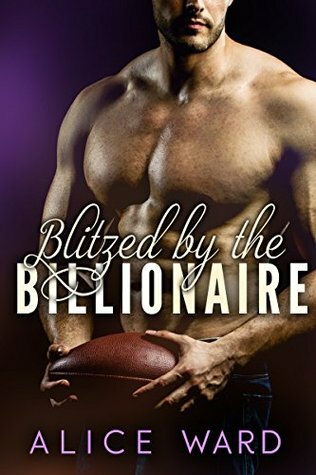 The characters were poorly written and the mistakes regarding football were a complete deal breaker. I tried to like this book, I really did. I tried so hard. 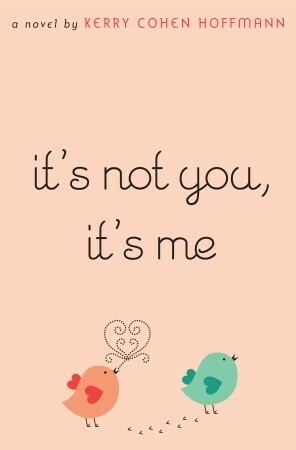 But I just couldn’t. I read Anna’s other book, After, last year and I really hated it. I didn’t have extremely high hopes for Nothing More but I did expect a little bit more from this book. It is, in my opinion, miles above After though. I think the writing is a million times better than After but that being said, I still don’t like the writing. It still reads like fanfiction but higher quality fanfic. But it’s still lackluster and unpolished. 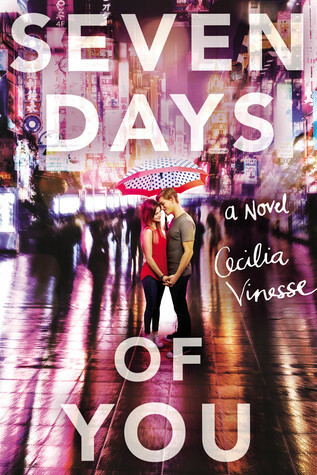 I’m not a fan of love triangles and this book perfectly represents why. It didn’t help that I despised the characters involved. Dakota is such an awful person. She’s so controlling and mean. I didn’t care about the characters at all because they were all so annoying. And yet, I still didn’t hate them as much as the characters in After. Overall, I didn’t like this book at all. I’m giving it 1.5 stars because I do think it’s way better than After and I seen a lot of improvement in the writing. I think there is a very particular audience for this type of book and I’m definitely not it. I feel like this book is like trashy reality tv shows. It’s not for most people but it’s really enjoyable for others. When their passion for music crosses into passion for each other, Bea finds herself falling completely for Dane. She’s never felt so wanted, so understood, so known to her core. But the risk of discovery carries unexpected surprises that could shake Bea entirely. Bea must piece together what is and isn’t true about Dane, herself, and the most intense relationship she’s ever experienced. I read one of Nancy Ohlin’s other books, Thorn Abbey, years ago and I didn’t really like it that much but I really wanted to give Consent a chance. And honestly, I wish I hadn’t. Consent started out kinda slow and the writing was weird and even though the writing did get better, it still wasn’t that great. I didn’t like the way the teacher-student “romance” was portrayed. It didn’t really discourage or warn the reader about what could happen when you get involved in a bad relationship. 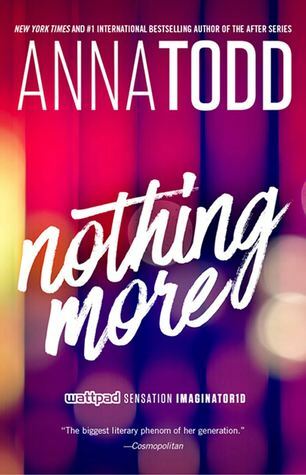 There was a very pedophilic nature about the relationship and I just didn’t feel right about this book. It was written in such a weird way. Like, the relationship was written in a normal way. Like it was a love story. Like everything was okay. Every time the author compared the teacher to Kit Harrington, I died a little inside. Honestly, it was just awful. High school student/teacher relationships should never be romanticized in any way but Consent did just that. I’d never heard of this book before it was recommend to me on Instagram. I started it a few weeks ago and I really had to push to finish this book. It was fast paced but there was so many cliches and I just didn’t like the dialogue. It felt fake and unnatural. And this book is over 600 pages. After about 200 pages, I was ready to quit. I wasn’t a fan of the main character. He was really unlikable and I just didn’t want to read about him. I didn’t like the way most of the women in this book were written. The main character is sexist and awful. I didn’t like the way Islamic culture was talked about in this book. Honestly, I hated this book. I don’t even know how I managed to finish.